You cannot copy your work right out of the textbook, the models or drawings must be original representations of the three portions of the project. You must also state everything that is needed to be known about each of the portions. The nitrogen bases must be paired according to the rule: A pairs with T, and C pairs with G.
If you cannot draw and label the required portions clearly on a 3-D drawing on your Chromebook draw a 3-D picture of the double helix DNA Molecule (like the one below) Then draw a two dimensional picture of the double helix and label it appropriately. You will need to show in detail how a single cell, splits every part of its structure in two, including DNA & Chromosomes. 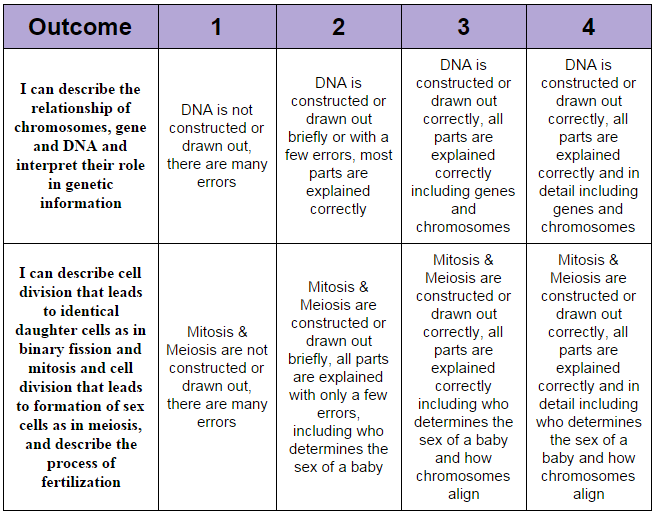 You will need to show in detail how each parent gives half of their chromosomes to a gamete. How the gamete results in an egg being fertilized and an embryo forming and growing.